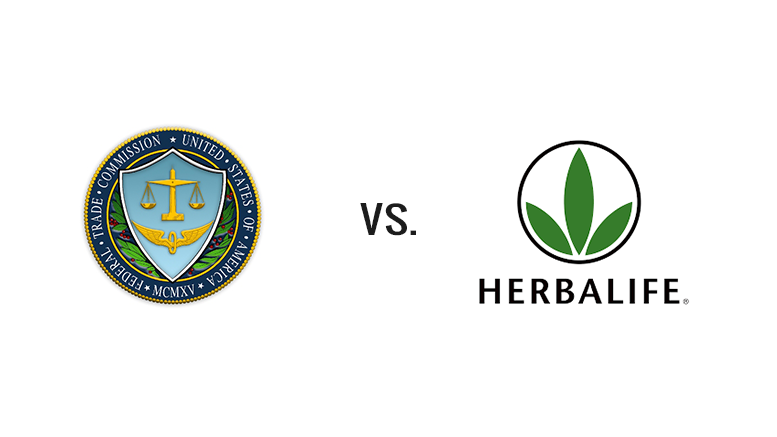 The July, 2016 settlement between the FTC and Herbalife is likely to have a profound impact on the direct selling industry. But, what that impact will be is uncertain. Markets do not like uncertainty. For 40 years, the FTC sought to mold the direct selling industry to its will through litigation, but ironically, the most significant structural changes to the direct selling model will not be achieved by litigation, but rather through a current political and economic climate that may give the FTC far more leverage to force its will. In 1979, the FTC lost its bid to have the Amway multilevel marketing model ruled to be a pyramid. In 2014, the 9th Circuit U.S. Court of Appeals, in BurnLounge, rejected the emerging FTC position that personal use should be granted no credit in determining qualifying volume for compensation in a direct selling program. But times change and FTC commission members and staff change… and today are a reflection of a much more robust and aggressive regulatory climate that comes with a change in the order of the Executive Branch of government. Aggressive regulation has not merely been limited to the direct selling industry. To be fair, the FTC response is also a response to a wave of overt pyramid schemes that have swept the U.S. and the world in recent years. Over the next decade, FTC stated positions on retailing and personal use became clear that a more aggressive posture was emerging at the FTC. And the culmination of that evolution was reached in the FTC v. Herbalife settlement, with significant restrictions (although workable for Herbalife), if applied to the industry across the board, would change the way direct selling companies have operated for 50 years … no more autoship, no compensation tied to wholesale product movement, sales volume credit for personal use almost eliminated, reduced by two-thirds, and no more monthly volume qualifications, unless based totally on nonparticipant purchases. And the FTC announced that it intended to issue its guidance for the industry, and it is fair to assume that its intention is to apply those standards to other direct selling companies, perhaps through investigations and enforcement actions. We are pleased that this order will require Herbalife to base rewards on tracked and verified retail sales and recommend that all multi-level marketing companies likewise take sufficient steps to ensure their practices are not unfair, false, or misleading. For its part, Herbalife indicated that it was comfortable with the new restrictions, as it had, in fact, tracked the demographics of its members and found that the vast majority actually joined Herbalife to become discount buyers. In the end, it would be a matter of reclassification. We would not have settled unless we had the greatest confidence in our ability to comply with the agreement and grow our business and we believe this will be proven out over time. As to many other direct selling companies, the answer is not as clear. It has long been accepted that distributor personal use, tracking based on wholesale sales, autoship, and monthly sales volume qualification requirements, are important components of direct selling marketing programs particularly consumables companies of health care, personal care and home care products. The industry is bewildered that business practices that survived, and were perfectly acceptable, for 40 years of case authority, may be upended by fiat… i.e., a change in policy position of a newly energized FTC. As a result, many are nervous and speculate whether or not the industry trade association will contest the FTC’s potential impending restrictions for the industry. In fact, within 30 days of the settlement, rather than take exception to the FTC change of policy and defend personal use, the DSA signaled that companies may need to prepare to “get in line” and use technology to demonstrate compliance with the FTC demands on retailing data. (See August 4, 2016 DSA statement below.) Was this an early capitulation? It is too soon to tell. To some extent the industry is caught off balance because, although it achieved some favorable state legislation on personal use post the 1996 Omnitrition decision that discussed personal use, it really dropped the ball, for 20 years, on this issue at the federal level… and now, in today’s political climate, it is likely too late to achieve relief for the industry from zealous regulation. What is at Stake After FTC v. Herbalife? For the industry, what, in the apparent new FTC standards is livable, what is doable, and what will turn it upside down? 1. Requiring reps to track sales to nonparticipant retail customer and/or ultimate users. This makes sense. 2. Avoiding earnings or potential “lifestyle achievement” hype. This makes sense. Forget the Ferraris and mansions images… they are not a reasonable expectation. a. What percentage of distributors who have signed up are active, i.e., earning any income? b. Of those that are active, what is the average earnings? distributors earn at least that amount or above? 4. Capping the monthly amount of allowed purchases for personal or family use to avoid inventory loading. The industry can live with this. Perhaps a ramping up amount depending on previous production or tenure. 1. No longer track and tie upline compensation to wholesale purchases of downline distributors… i.e., upline compensation limited to verified nonparticipant retail sales plus allowable (one-third) distributor personal/family use purchases. 2. A requirement that only one-third of distributor purchases for personal or family use may be credited for computing sales volume for commission purposes. (And that total compensation paid should somehow be restricted if the company does not achieve 80% of sales, comprised of nonparticipant sales and allowable personal use credit of one-third of purchases.) Even at its peak of aggressiveness prior to the Herbalife settlement (other than some “fencing in” orders specific to companies involved in isolated litigation) the FTC only called for a standard that 50% of sales be made to nonparticipants. 4. No minimum activity requirements, except for sales to retail customers. Distributor fulfillment of minimum personal sales volume requirements are prohibited, or must be fulfilled by sales to nonparticipants… again, excluding credit for personal/family use consumption. 5. Total company commission payments are limited, in the absence of demonstration of 80% sales to the combination of nonparticipants and allowable limits (one-third) of distributor personal consumption purchases. Kevin Lomax: Are we negotiating? Importantly, this settlement is not case precedent, it is not an FTC rule, it is not a statute and it is not even consistent with case authority or previous FTC public positions on legal standards for pyramid. It is the beginning of a negotiation. It is the beginning of a dance. It is power politics. But, realistically, one thing is quite clear, direct selling companies should expect a much more aggressive FTC going forward. Will the FTC enact a new MLM rule or amend its Business Opportunity Rule? Historically, this has been a long drawn out process. The last amendment to the Business Opportunity Rule involved six years of comments and hearings, from 2006 to 2012. This approach does not seem likely. It seems more likely that the FTC will update its 2004 Advisory Opinion, or issue a public statement, to provide its guidance on what it believes is and is not acceptable in the direct selling model, and will initiate separate “strike” enforcement actions to send a message to the industry. Obviously, there will be dialogue with the industry, but the ability to initiate enforcement actions gives the FTC a powerful leverage against publicly traded MLMs whose market position can be so dramatically affected by an enforcement action, and against smaller MLMs that can ill-afford the risk of preliminary injunction, long-term “cloud of uncertainty” over their heads or the immense legal costs of defense. As noted earlier by this author*, it is a reasonable hypothesis that the Herbalife settlement, in the short term, will not change the business model of other leading companies, without further regulatory or legislative action, but it clearly creates regulatory uncertainty for all companies. And, it certainly will be timely for all direct selling companies to discuss a preferred customer program, retailing mandates and product tracking to ultimate users. In light of the FTC v. Herbalife decision and the FTC’s aggressive posture, what are companies to do? Of course, much depends on whether the industry trade organization, the DSA, undertakes active resistance to the gutting of 50 years industry practices, or whether it capitulates. The ultimate equilibrium will likely be somewhere between existing practices and the FTC desired restrictive practices. In the absence of actual new case law or legislation, but rather the threat of FTC Guidance and selective enforcement, there are policy-risk decisions to be made by each company. Companies looking for an insurance policy against enforcement action will consider a parallel adoption of the Herbalife restrictions. This would be the most conservative reaction to the FTC v. Herbalife settlement. It virtually guarantees against federal and state actions. If a company can live with these restrictions, it will make a policy decision to adopt them. However, this may mean a wholesale change of the business model of almost all direct selling companies, particularly if they go so far as to eliminate tracking of compensation on wholesale movement of product, eliminate autoship for distributors, severely limit credit for personal use purchases of distributors and eliminate monthly activity sales volume requirements unless totally based on sales to nonparticipants. An interim conservative, but businesslike approach, akin to a modern medical therapeutic strategy, Watchful Waiting. It is likely that most companies will take this approach. And for those companies that take the watchful waiting approach … What to do? Until there is more clarity, direct selling companies should, at the very least, take affirmative steps to avoid being a target of enforcement actions. In the absence of wholesale adoption of the Herbalife restrictions, at a minimum, companies should focus on the following actions that clearly promote anti-pyramid practices. 1. Bulletproof yourself on earnings claims. Don’t be the nail that sticks up and gets hammered down. In other words, don’t be the low lying fruit. Don’t effectively, and unintentionally, “bait” the FTC to initiate an enforcement action, as Vemma is accused, by over-aggressive hype and promises. c. If any example, testimonial or illustration of a particular income, bonus or lifestyle award is presented, what percentage of active distributors earn at least that amount or above? Actually, the FTC criticism does not make much sense, so this suggestion is worthy of serious thought. If it is a coin flip, then it is respectfully suggested to leave the robust earnings disclosures intact. Irrespective of the depth of the earnings disclosure, do not ever play fast and loose with earnings disclosures, nor “parse” to exaggerate the opportunity. 2. Adopt, follow and enforce the Amway safeguards. The Amway safeguards have been the gold standard and been honored in case after case going on 40 years. Although the FTC may wish to pivot away from the Amway safeguards, the courts have not done so. a. 70% rule to avoid inventory loading… no ordering unless 70% of previous orders have been sold or used for personal/family use. Place lids on initial orders and allow a ramp up of size of order over time. Never mandate monthly autoship to qualify for commissions. And avoid front-loading. In the famous Omnitrition case, the court noted that the Amway safeguards are rendered ineffectual as a defense to pyramiding if a company encourages or allows front-loading of product because it becomes clear that commissions are not related to sales to ultimate users when distributors are incentivized to buy huge amounts of inventory that are out of proportion to needs for resale or the needs of personal and family use. b. Adopt and enforce an actual nonparticipant retail sales mandate to qualify to receive commissions. Over the years, that number has been expressed in numbers from five to ten or in sales volume … often with an allowable ramp up over time. c. Honor a buyback policy on inventory and sales support materials for terminating distributors…no less than 90% for 12 months. 3. Track, track, track… flow of product to and use by the ultimate user. After FTC v. Herbalife, few priorities are as important as tracking and verifying the flow of product to and use by the ultimate user, whether it be nonparticipant retail customer or distributor for personal/family use. Although the FTC may wish to assert that the legal standard requires tracking to the nonparticipant retail customer, that assertion does not accurately state the case law in Koscotor BurnLounge, which speak in terms of compensation related to the sale of product to the ultimate user. The short answer: Track the flow and use of product to both nonparticipant retail customers and to distributor personal/family use. If the FTC is desirous of a new legal standard, it will not achieve it by merely stating its position, but rather through case law, federal legislation or federal rule adoption. It is also worthy to note that more than a dozen states have adopted legislation recognizing personal use. The second important element is that the distributor compensation will now be paid based on their sales to customers along with an allowable level of personal consumption. Distinguishing customers from business-building distributors simply make sense. It is something our Management and our member leaders have been contemplating for a while because we know that it will allow us to better tailor our products, training and services to meet the distinct needs of each of these groups. The second important element is that the distributor compensation will now be paid based on their sales to customers along with an allowable level of personal consumption. We are already developing apps and tools to help our distributors track their customers’ activities and submit their customer sales receipts. These new capabilities to record and track sales data will provide valuable customer information that will provide better support to our members and we believe it will help our distributors build an even stronger business and enhance their understanding of their customers to a level similar or even better than consumer packaged goods companies. Advances in technology and greater access to data give us the tools to monitor the market and ensure that the selling and buying experience we provide is of the highest quality. We have traditionally — and understandably — been closer to our consultants than to the ultimate consumer. But one of the greatest challenges I have in representing direct selling to various interested parties is explaining why we do not know our customers as well as we should. Analysts do not understand how we cannot be more in touch with our consumers, and regulators (and critics of the channel) cannot be convinced of the legitimacy of our model if we are unable to tell them with certainty who the people are who are using our products. But now we have the opportunity to harness Big Data and the latest digital technology to become expert on who the people are who keep our companies afloat, what they want and how we can better serve them. The bonus here is that this will not only eliminate one of the biggest criticisms we face, it will help us win long term in the marketplace. We should also recognize and define personal use of our products in new and accurate ways. Let’s use technology and data to demonstrate that consumers of all types — distributors and non-salespeople — are freely and legitimately using our products. 4. Irrespective of the ultimate legal standard, embrace and comply fully with the current case law legal standard fromKoscot and BurnLounge. a. product makes its way on to “ultimate users” and is used. b. compensation relates to such sales to ultimate users. c. that distributor purchases are not incidental to the opportunity, i.e., that the primary motivation of distributor purchases is an actual need for personal use or resale as opposed to qualifying in the marketing plan. Of course, this is the actual existing legal standard arising from Koscot and BurnLounge. But, it is not the direction of the FTC, which would argue that the great majority of product, and compensation attached, must be tracked to sales to nonparticipant retail customers. 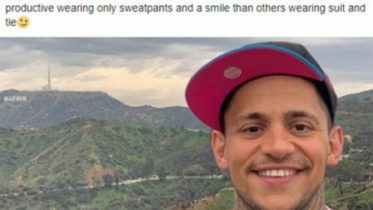 [In the case of Herbalife, compensation is to be based on sales to nonparticipant retail customers plus an allowable percentage (one-third) of sales to downline distributors for personal/family use.] The FTC may force companies to adhere to its “percentages” approach by way of enforcement actions, but the result will be achieved by “clout” rather than actual court decision. Whether or not companies can withstand the power of an FTC enforcement action is another story. 5. Emphasize sales, not recruitment. Marketing emphasis should always be on product first, and opportunity second. The emphasis should be on sale of product for actual use and not on recruiting others to buy who recruit others to buy, etc., merely to qualify in the compensation plan. 6. Don’t target vulnerable groups. In the aftermath of Vemma, which criticized targeting of young college students, with promises of riches, do not boldly target demographic markets that the FTC might view as vulnerable to hype and abuse. Such groups may be young people or poor populations. This is a journey and is the next chapter in the legal environment of direct selling. And it will take a long time to unfold. Should direct selling companies turn their programs upside down in response to FTC v. Herbalife? Probably not. Will they? Probably not. Are changes coming? Absolutely. The dialogue begins. Be the first to comment on "The New FTC Guidance for Herbalife and MLM"